Before it's too late, find the best credit card deals for for gas, travel, business, student expenses and rewards this month. NEW YORK (MainStreet) -- Summer is in full swing, and if you are looking for a credit card to help with some of your travel expenses or just looking for a brand new credit card with a few perks, there's still a chance to get the best deals this month. Of course, summer spending can be something of a danger zone for consumers: half of Americans recently surveyed by Experian admitted they'd racked up credit card to cover their vacations. Some 68% of respondents used plastic to cover overnight accommodations and 67% did so to pay for air travel. "Even though the economy is improving, everybody is looking to save money and get the most bang for their buck when they take that summer trip," said Matt Schulz, senior industry analyst at CreditCards.com. "The right credit card can help you do that." That's why it's high time to start making the cards work for you. "The interest in credit cards, as a whole, has increased as the economy has improved," said Schulz. "People are spending more and banks are more willing to give out credit. It's actually a really good time to be out there looking for cards." According to Creditcards.com, these five credit cards may best suit your needs this summer. 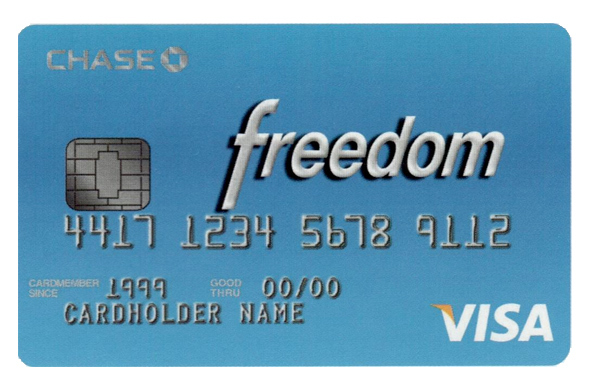 Gas is the hot commodity for the Chase (JPM - Get Report) Freedom Card starting in July and lasting until September. Chase is offering 5% cash back on gas this month up to $1,500 on combined purchases. Each quarter, Chase announces additional categories and merchants that receive the 5% cash back reward. Next quarter, all of your Amazon (AMZN - Get Report) purchases will receive this perk. "If you are someone who wants to keep track of those rotating categories and will remember to take advantage of them, then they can be a good deal," said Schulz. "It's a matter of finding a card that is the best fit for you." Other notable benefits are the $100 bonus after spending $500 in your first three months, 0% APR for 15 months on purchases and balance transfers and 1% cash back on all purchases. "If you're interested in traveling abroad, take into account the fact that this credit card has a 3% foreign transaction fee," said Jill Gonzalez, credit card expert at CardHub. 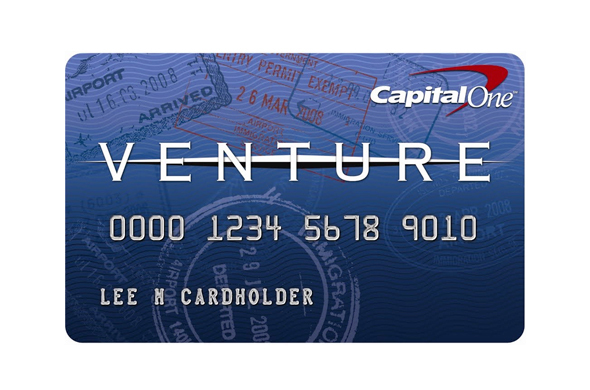 If traveling is your thing, then the Capital One (COF - Get Report) Venture Rewards Card will add some miles to your frequent flyer account. Card holders will receive a one-time bonus of 40,000 miles after spending $3,000 in the first three months, equivalent to $400 worth of travel. "You don't have to mess with black out dates; you don't have to go through some of the hoops that are required when you're cashing in frequent flyer miles with a particular airline," said Schulz. "It makes things a little simpler than some other cards." If that isn't enough, you can also earn an unlimited two miles for every dollar spent everyday. Keep track of your monthly credit score with the free Capital One Credit Tracker that sends automatic alerts about your score. The catch is the $59 annual fee after your first-year fee is waived. "The Capital One Venture Rewards Credit Card has one of the best rewards on the market," said Gonzalez. 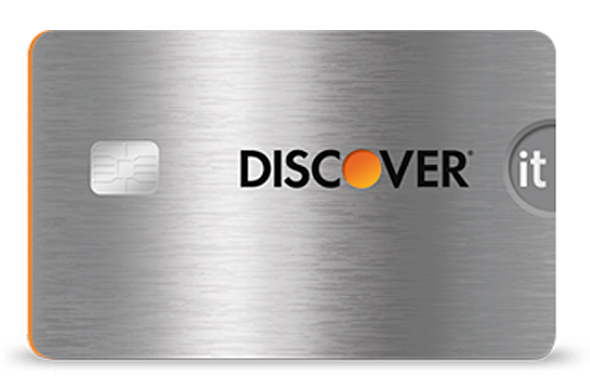 The Discover (DFS - Get Report) It Chrome for students card has perks for the penniless, forgetful college student looking for a few credit card breaks. New cardmembers can double all the cash back they earned at the end of their first year, while earning 2% cash back on up to $1,000 in purchases at gas station and restaurants. You only earn 1% cash back on all other purchases. There's no annual fee, no overlimit fee and no late fee on your first late payment. What's more, paying late won't raise your APR. Student will receive their free FICO credit score on their monthly statements. If your card is lost, the "Freeze It" switch allows you to stop all transactions via your mobile app or online. "The card offers no annual fee and also no foreign transaction fee," said Gonzalez. "That can be important for students who want to study aboard." 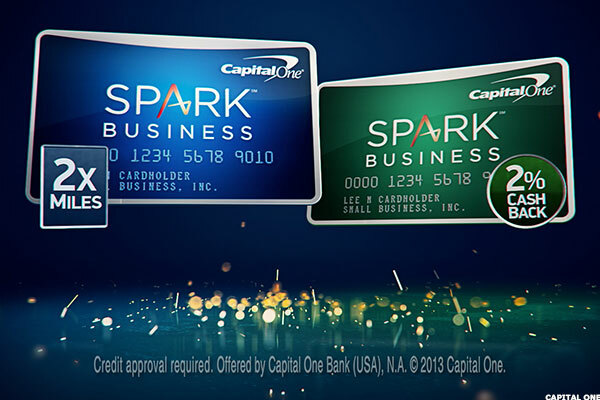 The Capital One Spark Business is good for business owners looking to get cash back on their expenses. This card allows 2% cash back on every purchase, plus after you spend $4,500 in the first three months, you receive a one-time $500 cash bonus. Businesses can add additional employee cards at no cost, while still earning rewards from their purchases. Fraud alerts via text, email or phone are also included. There's no annual fee for the first year but a $59 fee after that. 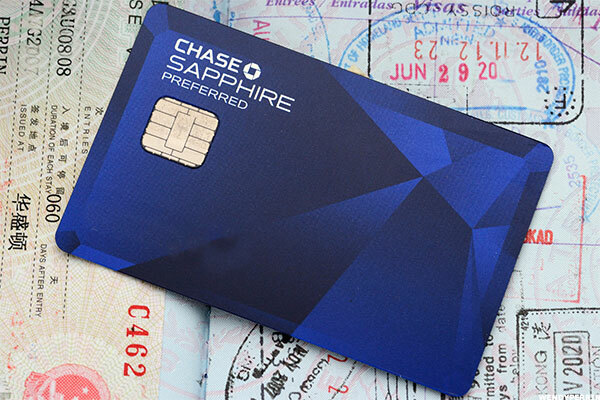 The Chase Sapphire Preferred Card is another card that will help frequent travelers get some help with their next trip. Cardholders always get 20% off car rentals, airfare, hotels and cruises through the Chase Ultimate Rewards program. You also pay no foreign transactions fees. You get all of this while earning 40,000 bonus points after spending $4,000 in the first three months, and if you sign-up one authorized user, you will receive an additional 5,000 points. Travelers receive premium travel and purchase protection benefits, including trip cancellation insurance, auto rental collision damage protection, loss luggage reimbursement, baggage delay insurance and roadside dispatch. "Before you go on a big trip or before you buy a plane ticket, it might be a good idea to check out your credit cards terms and conditions or even call your bank and ask them what sort of protections they have," said Schulz. "You may be surprised at what they tell you and it could end up saving you some money or possibly some headaches." If you already have points that you want to transfer to Chase or from Chase to another rewards company, there is a one-for-one point match. "One of the cool things about the Chase Sapphire Preferred Card and what makes it popular among 'rewards junkies' is that you can transfer those points from Chase to other airlines and rewards programs," said Schulz. "That kind of flexibility can be really attractive to people who are looking to get the most out of their rewards cards." For all these perks you pay a $95 annual fee, but the first year is free. Gonzalez said this credit card is only recommended for people with excellent credit. Most of these credit cards come with a wide range of interest rates, depending on your credit history. Schulz recommends that credit cards holders have an idea of their credit status to eliminate surprise when receiving interest rates for their new cards.